"We were a match made in Heaven"
To South Africans he was a respected breakfast TV show anchor and one of the first voices they heard and faces they saw every day. To his widow, he was the love of her life and she misses him all the time. Now the TV is a painful reminder of her husband, Savita Mbuli (40) says, and she can’t bear to turn it on in the mornings. She thinks about him every day – their life together, their conversations, his laughter. 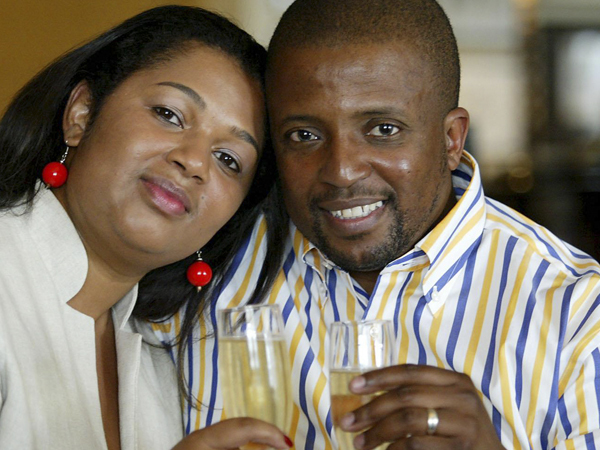 It’s four months since popular Morning Live presenter Vuyo Mbuli died suddenly, and his widow has shed her dark mourning clothes and is opening up for the first time about the man she was married to for 16 years.